Wolves have smashed their transfer record to sign Ruben Neves from Porto and confirmed a loan deal for defender Willy Boly. Defensive midfielder Neves has signed a five-year deal for around Â£15million to link up with former manager Nuno Espirito Santo. Boly follows Neves from Porto and has penned a season-long loan deal as the Sky Bet Championship side continue to revamp their squad. The club are also close to signing former Norwich goalkeeper John Ruddy on a free transfer after Carl Ikeme's shock leukaemia diagnosis. Portugal international Neves made 76 appearances for Porto and the fee tops the Â£12million Wolves paid for Helder Costa in January. "I'm very excited to play at this club," he told the club's official site. "It is a very big club and I hope to help the team to win their goals. "I have always wanted to play in England and we have a good team. I think we can do good things this season." 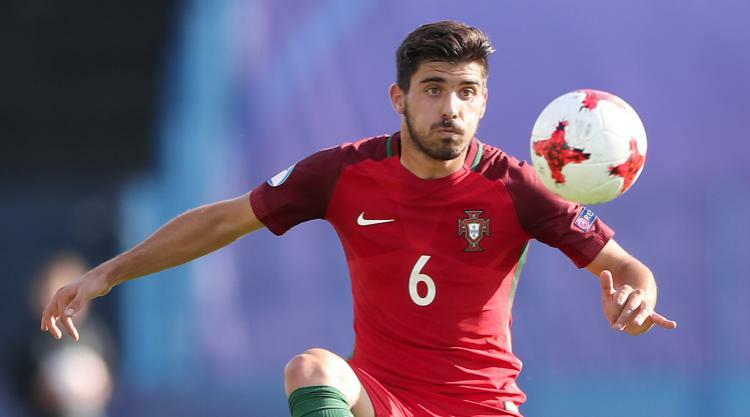 Nuno played Neves 16 times at Porto last season, including in their 5-0 Champions League win over Leicester, while the midfielder also made three appearances for Portugal's Under-21 side at Euro 2017. "Ruben is a very good player who can bring new things to our squad," said Nuno. "I know him well, I worked with him last year - he's a good player. "When a player is captain of a big team like Porto in a Champions League game at such a young age, it means a lot. "He was very pleased to come here, it's a good challenge for him." Boly made five appearances for Porto last season after joining from Braga last August. Former England international Ruddy is also set to sign after they made a late move to beat Sunderland to the goalkeeper. Birmingham and Aston Villa were also interested in Ruddy, who earned one England cap against Italy in 2012. Ruddy left Norwich this summer after seven years at Carrow Road and will join Wolves' pre-season trip to Austria with the club still dealing with Ikeme's diagnosis. The 31-year-old goalkeeper is a popular member of the dressing room and will start treatment immediately.